The spring and early summer have been excellent if you like spending time looking at the stars. Jupiter was at opposition in May (and is still quite bright), Venus is easy to spot, Mars is bright in the sky and getting brighter, and the Northern Lights have been visible in parts of the US this week. However, this month, the star of the show will be the planet Neil deGrasse Tyson called "the crown jewel of our solar system." 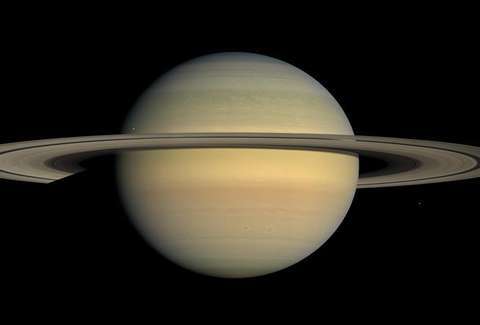 Saturn will be at opposition on June 27, the brightest it will be this year. Opposition is a formation where the Earth sits exactly between the planet and the sun. 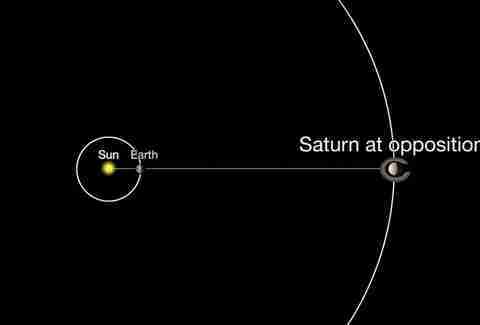 That means Saturn will rise opposite the sunset, and you'll be able to spot it quite easily. You can't really go wrong if you're looking for Saturn tonight. It will rise in the east near sunset and set in the west just before sunrise. It will be visible throughout the night, reaching its highest point around midnight local time. Just after midnight is when you should expect to get the best view. The planet will be visible to the naked eye at dusk in the eastern sky. You'll find it in fairly close proximity to the moon. However, you won't see much detail with the naked eye. If you use a telescope, you should actually be able to spy the gas giant's rings. As well as a "view of the north polar region," says the NASA Jet Propulsion Laboratory (JPL). That view has become famous since the Cassini spacecraft snapped a gorgeous image of the hexagonal storm at the planet's pole. It's a great time to get a view of Saturn's rings. The rings passed maximum tilt from our perspective last year (26.7 degrees). Now, it remains tilted toward us at "almost 26 degrees wide," according to the JPL. The rings will show less and less until 2028 when they will appear edge-on once again, says Universe Today.